. يقدم 33 Lomond Lodge Motel خدمات لا غبار عليها وكل أشكال اللياقة وحسن الضيافة اللازمة لإسعاد ضيوفه. تتضمن الميزات الرئيسية في هذا الفندق: واي فاي مجاني في جميع الغرف, تخزين الأمتعة, واي فاي في المناطق العامة, صف السيارات, خدمة الغرف. في الفندق غرف نوم يتجاوز عددها 16، كلها مجهزة بعناية وجمال وبعضها مزود بـ تلفزيون بشاشة مسطحة, اتصال لاسلكي بالإنترنت, اتصال لاسلكي بشبكة الإنترنت (مجاني), غرف لغير المدخنين, مكيف هواء. يمكنك الاستمتاع بالأجواء المريحة التي تقدمها حديقة طوال النهار. استمتع بخدمات لا يعلى عليها وعنوان ذو اعتبار في 33 Lomond Lodge Motel . يتاح انتظار السيارات مقابل رسم إضافي (يخضع للتوافر). ويجب الحجز مسبقًا. على النزلاء الذين ينوون الحضور بسياراتهم التواصل مع العقار مسبقًا. Loved everything about it! The whole staff was very friendly with excellent customer service. Especially the lady who helped us was very nice. This place is also very close to town so it was easy for us to walk around. The room was very clean with great air-conditioning/heater. 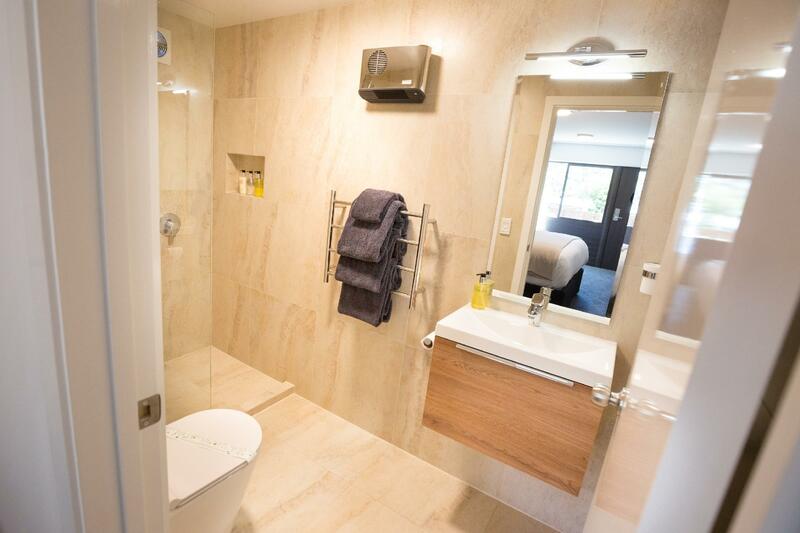 The ensuite was also very nice with a heater to keep us warm after shower. It came with everything we need, from soap to hair conditioner. We would definitely go back and I'm recommending Lomond to my friends. Very satisfied and was very happy with our stay. Thank you so much Anita - please do come back and visit us again soon! The staff were very friendly and approachable. They went out of their way to make our stay a great one and helped with our bags. The room was spacious comfortable and clean. We had a few of the lake and the Remarkables. Absolutely amazing stay and will definitely return. The hotel upgraded our room from our studio booking to a 1-bdrm suite with a nice view over downtown and towards the Remarkables. The location is very central, just a couple of minutes walk to downtown. The suite was clean and had everything we needed for an overnight stay. This is a small hotel with a range of rooms of different shapes and sizes. A couple of the rooms face out onto the common courtyard at ground level, so you'd have to close the curtains if you want privacy. Overall, it was a very pleasant stay. best location, friendly and helpful staff, we were even provided with welcome gift such as beer, chips etc. 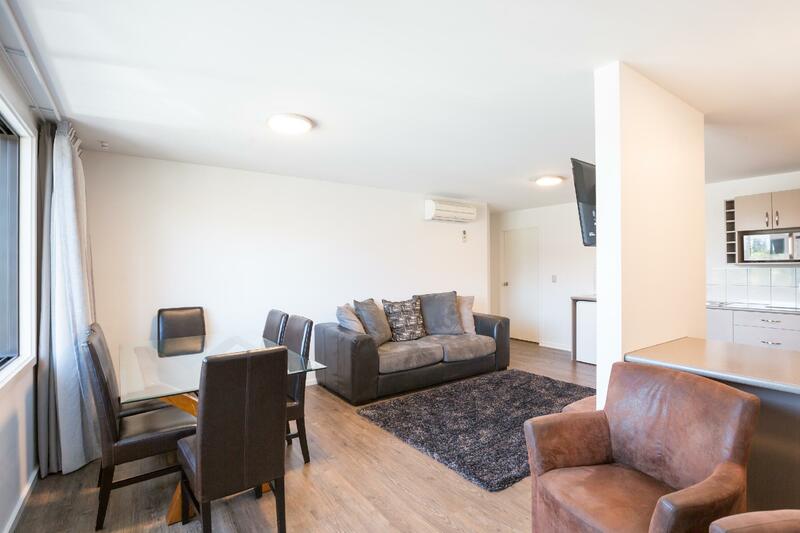 Clean apartment, newly renovated. Love it! Thank you Jennifer that feedback means a lot to the team - we were thrilled to host you and look forward to seeing you again soon. Recently renovated and lovely amenities! Very comfy beds, friendly staff, and the most fantastic view from the front-facing rooms. Would highly recommend. Thanks Aubrey great to read you enjoyed our new rooms - please do come back and visit us again soon. Very nice rooms with some units having a nice view. Very close to the center of town, but just enough out of the way to be away from any town noise. 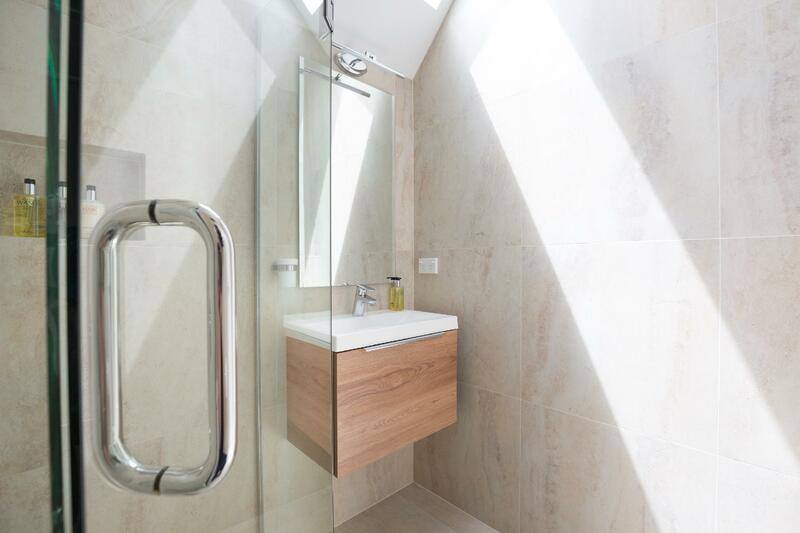 Quality amenities including a very deluxe shower. My only complaint was that the walls seemed a bit thin. Also has a laundry facility and a guest kitchen in addition to the the small appliances in the room. Thanks Tyler great to know you had a good stay! We hope you are able to come back and visit us again soon. Staff were very friendly, offering to store our bags before check-in while we returned our hire car. When we returned, they had already taken our bags to our room for us. 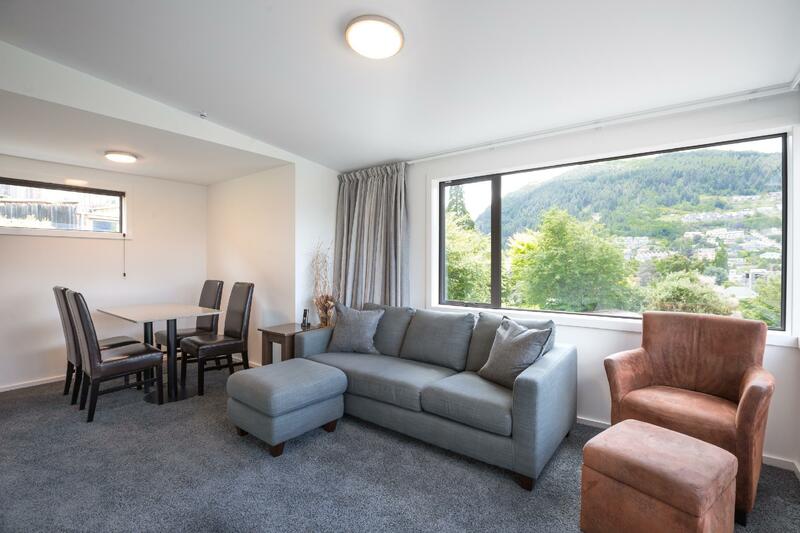 Add this to the convenient yet quiet location (very short walk to the town centre), great price and well appointed rooms and you'd be hard pressed finding a better value accommodation option in Queenstown. Great to know you felt well looked after by our team during your stay! I was in charge of booking the apartments for the family travel. To my dismay, the apartment was not near Lomond Lodge at all. It would be better for agoda to indicate clearly 'offsite' is actually not at Lomond Lodge but elsewhere with different address. The so call offsite is not at Mann street but at 62 Shotover street and requires climbing to 2nd floor to get to the apartment. If you intend to carry big bulky trolley hardcase luggage- consider before booking. In summary, I booked 2 'offsite' apartments at Lomond Lodge. I received an email that the apartments I booked were sold but the new owner will honour my bookings; Silver skies apartment. We were allocated apartment 6 n 7. Apt 6 was still alright. Do note that the room and balcony were facing kitchen exhaust hence impossible for us to open the windows. This also dont serve justice to the unit with great facing, ie the lake. I must admit that the view is excellent. Other feedback for the owner to consider: maintenance is seriously needed. 1. carpet needs vacuum as very dusty. 2. The washing machine was good. However the dryer was a disaster as it is dusty, making the whole toliet unfriendly (u should know what I mean if you own a dryer) Apt 7 was a total disaster. The aircon was not working and it was facing sunset. It was warm to hot like sauna. (Note: there is only 1 aircon unit in the entire apartment.) We were grateful to Nathan who gave justice to us by giving us an option to cancel our booking to apt 7. We remained at apartment 6 for the 1st 2 nights while they tried to sort/fix the aircon unit. Due to timing coordination, we are unable to collect the keys for the last night. Thus resulting cancellation of the entire booking. Location is good as it is right in middle of Queenstown but away from the noise and crowd. Just have to take note that it is up on slope and taking the luggage up the slope can be a bit taxing. Place is clean and has a shared kitchen for anyone cooking. Staff is friendly and helpful. 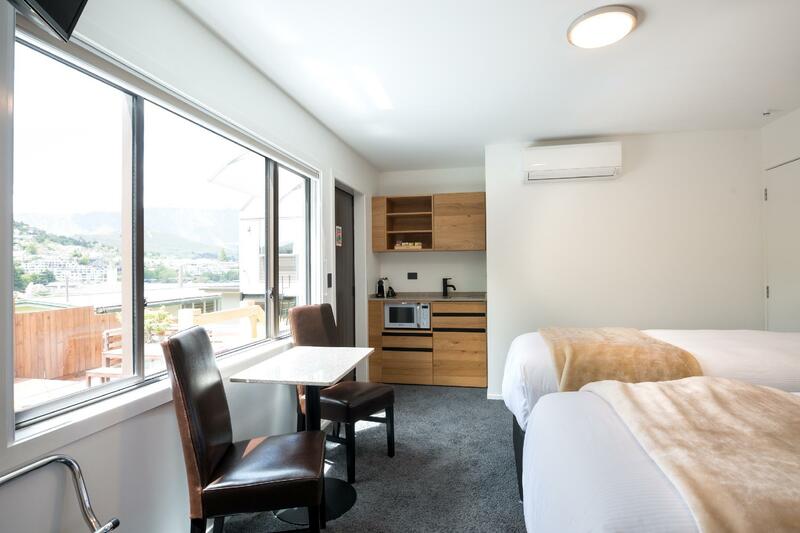 Thanks for sharing your feedback - we are so lucky to be only a short 3 minute walk to the centre of Queenstown & Lake front! Hope to see you again next time you are planning a trip. Hi as you mentioned, Lomond Lodge no longer own and manage the offiste apartments. Everything about this hotel was fantastic, apart from the beds. They were hard and I managed to get a few good nights sleep by arranging the pillows to be more comfortable but I won't stay there again. Hi Charlene, thanks for taking the time to share your feedback. We are very particular about the beds we use in our rooms, and the majority of our guests really enjoy them and say how comfortable this range of Sleepyhead beds are. However, bed comfort is very personal to each person, so we are sorry you didn't get a good nights sleep! Hopefully when you return we can put you in another room type. We hope you enjoyed Queenstown. Our family stayed there only one night. We have felt like stay at home with every thing we need. The place is really nice, really clean and facilities can be compared to the 4-5 stars hotel except the limit numbers of parking. The location is good. Just 4-5 minutes to the center of town and the Gondola and can have a lake view from the room. Staff is very helpful and friendly. Fabulous to read you had a wonderful stay! *The food is rated one star because there is no N/A option; we did not eat there. * We actually stayed here two nights. Booked the rooms at the last minute and was very pleasantly surprised with the property. The view from our rooms (we had a different room the second night)was spectacular, the employees were warm, friendly and very helpful. They escorted us to our room and explained where things were and how they worked; a very nice touch. The prices were reasonable for a last minute booking and the location, so close to the center of town, was perfect.Literally a three minute walk... Thoroughly recommended. Great little hotel in Queenstown, 1 block from the Man Street stairs, 2 blocks from the gondola. Great staff (Sean) very helpful and friendly. Clean, comfortable rooms. Laundry room. Parking. 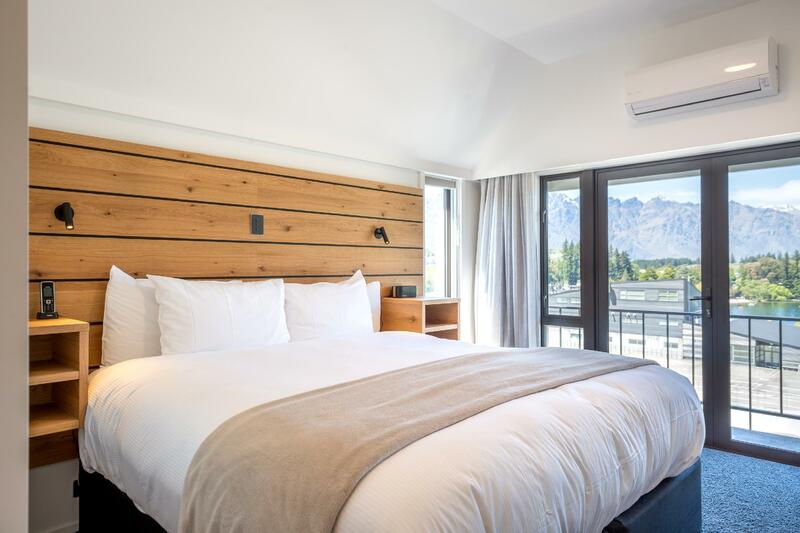 Great little hotel in Queenstown, 1 block from the Man Street stairs, 2 blocks from the gondola. Great staff (Sean) very helpful and friendly. Clean, comfortable rooms. Laundry room. Parking. Not a 4-star hotel, but very very nice for visitors. Greeted by friendly staff on arrival. The parking was not directly at the motel premise but at a multi-level car park located opposite. Motel is built on a slope and so moving of luggages from the reception to the room can be a chore, although the friendly staff offered help. Room was clean and very comfortable, cosy. Overall, it was a good experience for me and my wife. We have just got home from 7 nights in this hotel and it was fantastic. 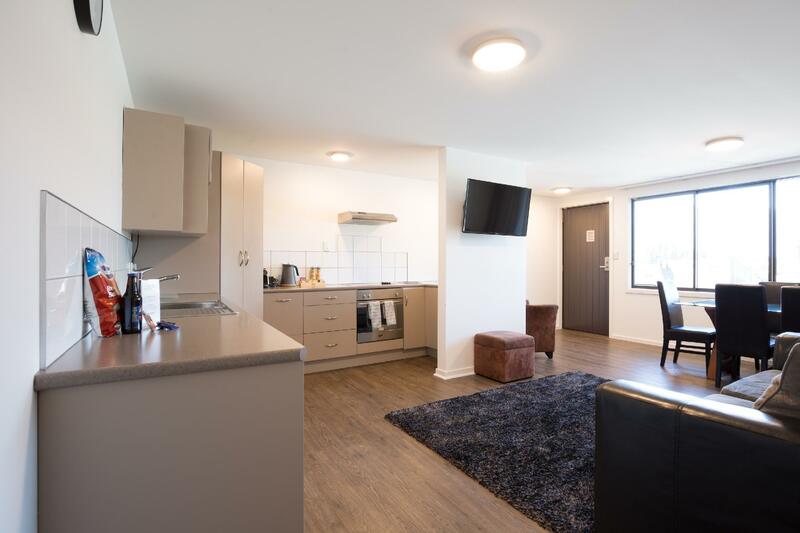 The location is great, very close to the centre of town and has beautiful views over the town, the lake and of course the Remarkables. We stayed in a balcony lake view room in the main lodge and I would say it is worth paying a little more for the views (with or without the balcony). The balcony is shared but they are divided up with planter boxes so are kind of private anyway. There was a kitchenette in the room for tea/coffee/toast/microwavable food and a main kitchen in the wing which had more room to cook if you needed and also a dishwasher and sink. There is also a barbecue and a nice sitting area outside. The staff are friendly and helpful. :) The rooms were very clean including the bathroom and the shared areas. The one slight downside is the limit on wifi, we started with a 250mb card and got another maybe 500mb card half way through as part of a total clean. Before we went I thought this would be heaps but we went through them very quickly (not downloading or anything, pretty much just using a little bit of facebook and to check out restaurants). It wasn't the biggest deal as if you're in Queenstown, you're probably there to do a lot of activities anyway and we found a few cafe's/bars where we could get on the internet if needed. I haven't stayed elsewhere in New Zealand recently so I don't know if this is to do with the internet they receive in general or if it is normal for hotels? We would definitely stay here again I think the value here is great considering the amazing view and beautiful rooms. Great room. Great service. 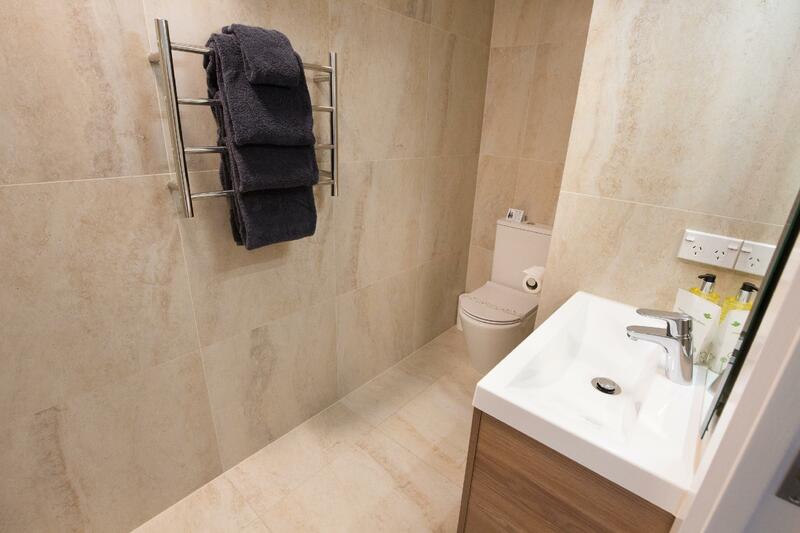 Well located being walking distance to the town and gondola. We are thrilled to get your review and rating, thanks for letting us know you had a great stay, we look forward to seeing you again soon!